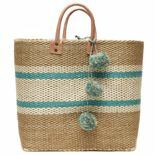 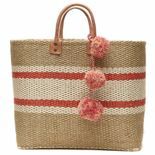 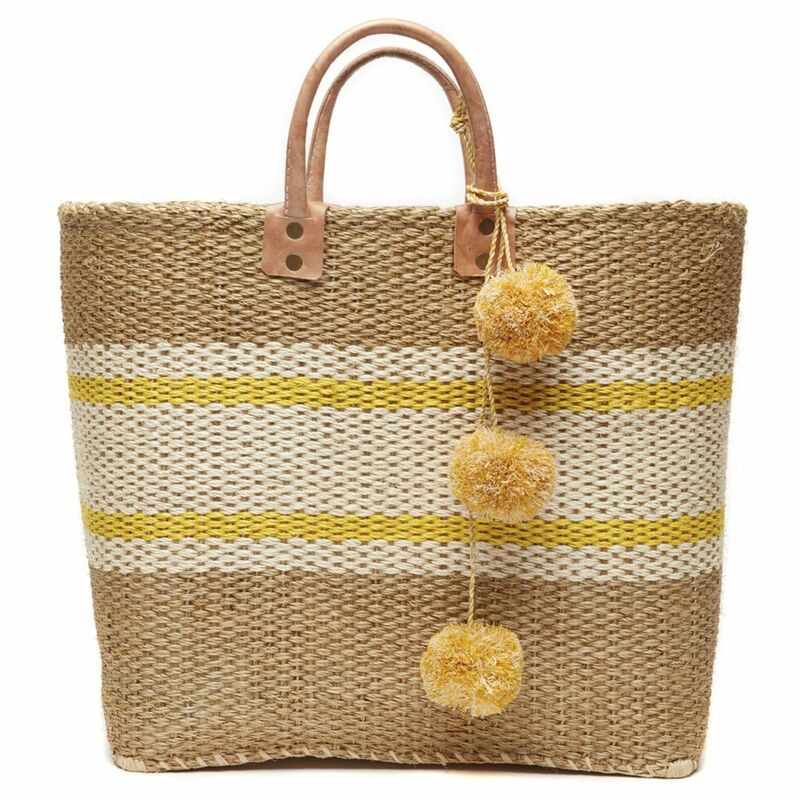 Classical stripes meet fun pom poms in a basket tote that looks great around the city as well as at the beach. 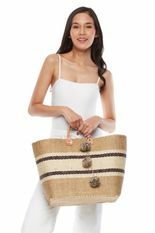 Organically tanned leather handles offer comfort and strength for all your outings. 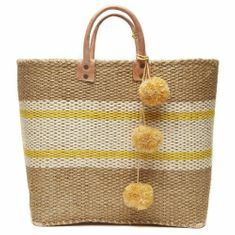 Handwoven raffia and sisal, unlined. 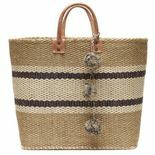 14"h x 14"w x 8"d with a 5" handle drop - Approximate dimensions, each piece is handmade.